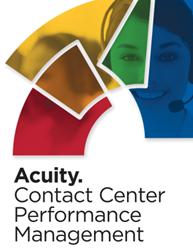 Acuity Contact Center Performance Management new release delivers core platform upgrades as well as new or enhanced features focused on employee attrition management, analytics, monitoring and employee recognition and engagement. "...once the platform is in place, the versatility and range of the solution truly shines as customers introduce new and creative strategies to recognize, motivate and empower their employees, shrink costs and risk and boost revenue." TouchPoint One, a leading provider of cloud Contact Center Performance Management software today announced the availability of a major software update to its Acuity CCPM solution. The latest build delivers core platform upgrades as well as new or enhanced features focused on attrition management, analytics, monitoring and employee recognition and engagement. Intelligent workflow and related reporting manages and measures attrition from team/supervisor to operation-wide and provides analytics across all configured attributes. Expanded capacity to create role or asset-centric analytic models – including internal (agent, supervisor, trainer, etc.) or external (outsourcer, staffing provider, etc.) and related default or custom reporting. Enables Pay-for-Performance option based on relative ranking rather than fixed-value performance tiers. Added AcuityBucks™ points/reward system to enable versatile incentive compensation that can be redeemed for gift/gas cards, lunches, gym membership, etc. Completed migration to Amazon Web Services (AWS) – cloud hosting platform provides global, enterprise-grade scalability as well as increased reliability, delivery speed, server redundancy, and additional back-up systems. Expanded Acuity forms designer and added templates to enable customers to easily replicate custom, create new or edit existing surveys, monitoring or other forms. To schedule an Acuity demo and needs assessment, complete the registration form here: http://www.touchpointone.com, or call TouchPoint One at (317) 454-8200. TouchPoint One delivers innovative performance management solutions to the world’s leading contact centers. The Company’s Acuity product is a Cloud-based (SaaS) Contact Center Performance Management solution that assimilates disparate systems data and applies role-based dashboards, intelligent workflows, messaging and data analytics to establish organizational alignment, drive progressively improved financial and operational performance and enhance the customer experience. TouchPoint One and Acuity are registered trademarks of TouchPoint One, LLC. All other registered or unregistered trademarks are the sole property of their respective owners. © 2014 TouchPoint One, LLC. All rights reserved.